The Galla Center of the Arts is less than 15 minutes' walk from the motel. Rooms include cable TV. A 24-hour front desk is available. Free Wi-Fi is offered in each air-conditioned guest room at the Discovery Inn. 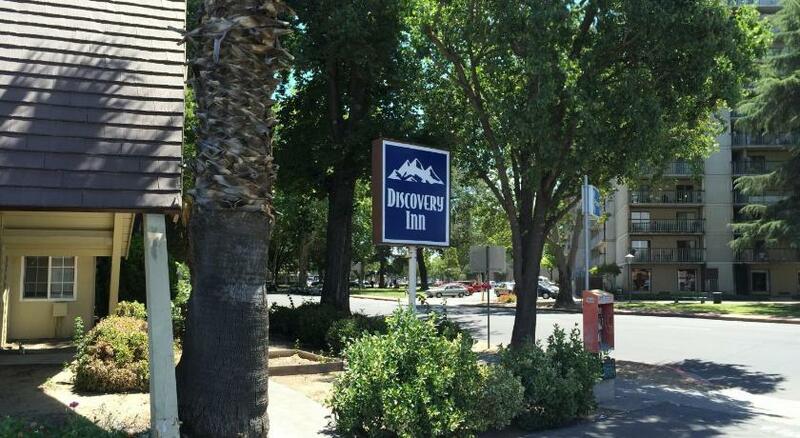 A small fridge, microwave, and work desk are also provided.Downtown Modesto is 1 mile from the motel. Stanislaus Library is 5 minutes' walk from the Discovery Inn Modesto.